Opencart Ordered Product Review : Ordered Product Review is an amazing module for Opencart which allows the customers to write reviews for the products ordered. Once the customer successfully places the order, it can go to Order History section and submit a review for the ordered product. The customer can also provide ratings with the product review. The admin can show the desired number of products after the checkout process has been completed by the buyers. The admin can add, edit, delete ordered products reviews from the back-end. Only one review per product can be submitted by the customers. Reviews & ratings will automatically appear on the product page, after the approval of the admin. 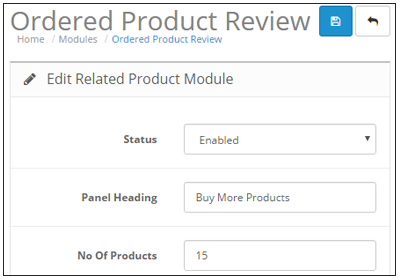 Opencart Ordered Product Review: Ordered Product Review is an amazing module for Opencart which allows the customers to write reviews for the products ordered. Once the customer successfully places the order, it can go to Order History section and submit a review for the ordered product. The customer can also provide ratings with the product review. The admin can show the desired number of products after the checkout process has been completed by the buyers. The admin can add, edit, delete ordered products reviews from the back-end. Only one review per product can be submitted by the customers. Reviews & ratings will automatically appear on the product page, after the approval of the admin. The admin can set the status of the module as enabled and disabled. Custom heading for related products can be displayed to buyers. The number of related products to display after the checkout can be set. 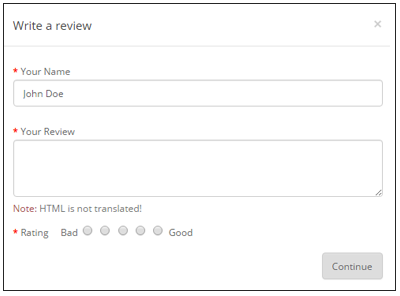 Ordered Product Review module supports multiple language translations. The users can submit reviews once the order has been placed successfully. It can also give ratings with the review for the products ordered. The customers can view the most bought products, related products, other products from the same category after the checkout process. Filter option can be used to search any product reviews by the admin. 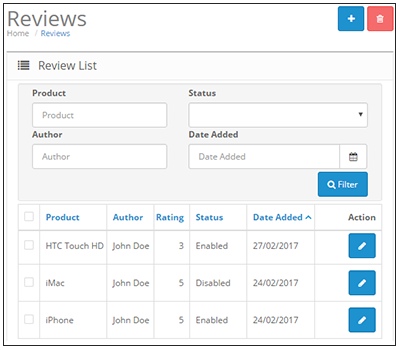 The admin can view, edit and delete ordered product reviews from the list. Set the module status as enabled or disabled. Enter the heading for the products. Set the number of products to display. The admin can enable/disable the status of the product review. Edit or modify the submitted product review & ratings. Search any particular review using filter option. First, the products purchased by other customers who bought the same ordered product. Second, the products that are related to the ordered products are shown. Third, the products from the same ordered product category can also be seen here. Last, random products from the store are displayed on the page. 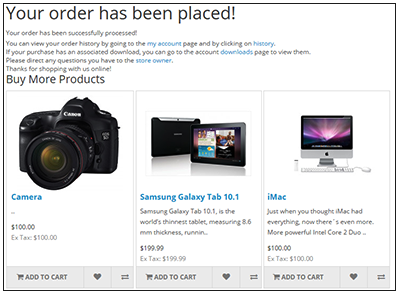 After successfully placing the order, the customer can go to the Order History section and select any of the orders from the list. A customer can review the product. Once the product review and rating has been submitted to the admin, it cannot be edited by the customers. The customer can also provide rating with the review. A customer can submit only one review per product. Did you buy Opencart Ordered Product Review?